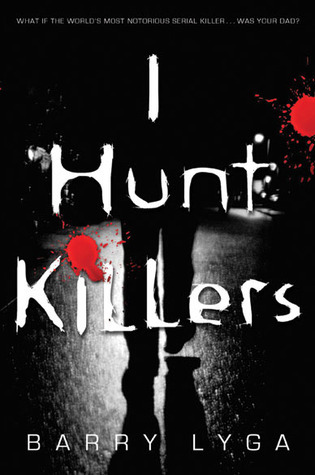 I Hunt Killers has been sitting on my to-read shelf for a while now (around a year and a half, but who's counting?). I finally picked it up whenever Netgalley invited me to read the sequel. Now, I wonder what took me so long to start. Call me strange (or maybe even deranged), but serial killers are fascinating people. No matter what anyone else says, I know I'm not the only one that thinks so. After all, Dexter is a thing (still upset about the damn series finale, but that's another story). Even with this serial killer fascination, I was a bit skeptical about I Hunt Killers. I wasn't sure how well a YA book would tackle the subject. No worries there, though. Even with the YA classification, I still think fans of thrillers or crime novels will enjoy this book. On top of everything humor is sprinkled throughout the book (especially in the form of Jazz's best friend, Howie, and grandmother). I enjoyed the additional layer it added to the book. Overall, I'd say that I thoroughly enjoyed I Hunt Killers. Though it started off somewhat slow for me, it did pick up and flow steadily afterwards. As far as the small element of mystery in the book, it wasn't nearly as big of a part of the story as I would have thought. In that instance, I don't think someone should read this looking for a mystery. You may be disappointed in that aspect. However, it's still a very solid book and I am certainly looking forward to the sequel.